"ZoomInfo is a business intelligence software that provides B2B contact database." This platform gives a persistently refreshed database that empowers sales and marketing teams with accurate B2B contact and company intelligence. With ZoomInfo companies will be able to associate with leaders in any industry, job function, and sharpen their focus on specific accounts. It likewise gives access to more straightforward phone and email addresses, priced by quote. It provides records segmented by industry, organization area and size, income, title, work capacity, and other utilized criteria. An additional feature is a possibility to source top candidates, with access to important information fundamental for success. 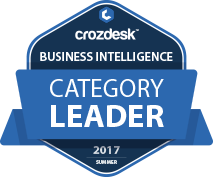 ZoomInfo scored 88/100 in the Business Intelligence (BI) category. This is based on user satisfaction (85/100), press buzz (56/100), recent user trends (rising), and other relevant information on ZoomInfo gathered from around the web. Does ZoomInfo offer multi-user capability (e.g. teams)? Does ZoomInfo offer guides, tutorials and or customer support? Support offered includes Phone, Email, and Webinars. What platforms does ZoomInfo support? What are some applications ZoomInfo is commonly used in tandem with? It is commonly used in tandem with CRM/Marketing automation software. Does ZoomInfo offer an API? What is ZoomInfo generally used for? It is used as a B2B contact database. Who are the main user groups of ZoomInfo? Main users of ZoomInfo include professionals in sales, marketing, recruiting, and finance in companies of all sizes. Does ZoomInfo integrate with any other apps? Zoho CRM, LinkedIn, MS Office Suite, SalesForce, Microsoft Dynamic, Sugar CRM, Hoover, Outreach, ClientSpace, Tray, and more.